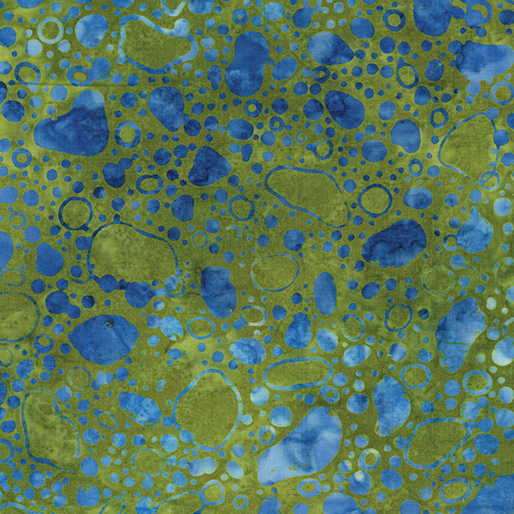 If you're a fan of greens mixed with blues and yellows and you liked the patterns in yesterday's Desert Valley collection, we think you'll really like Meadow Song! 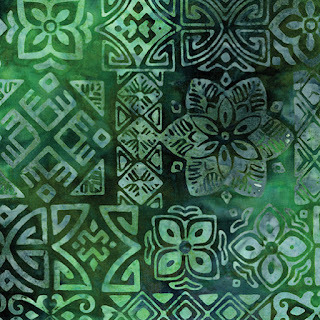 Made from some of the same designs, this collection really does look like a meadow--many shades of rich greens that work beautifully together. 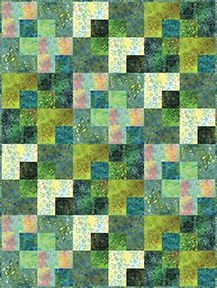 Use these gorgeous greens in the Mountain Creek free quilt pattern. 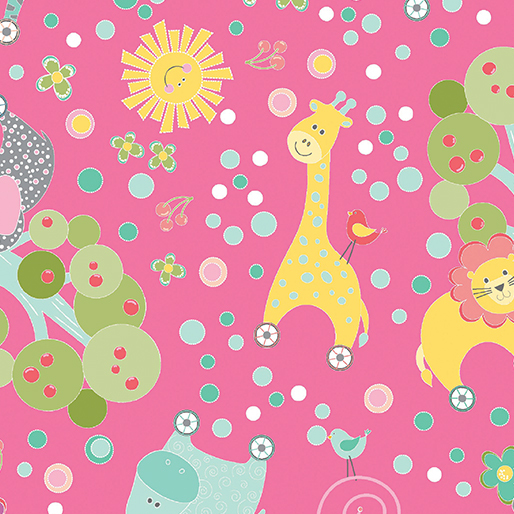 Click here to see the Meadow Song collection. 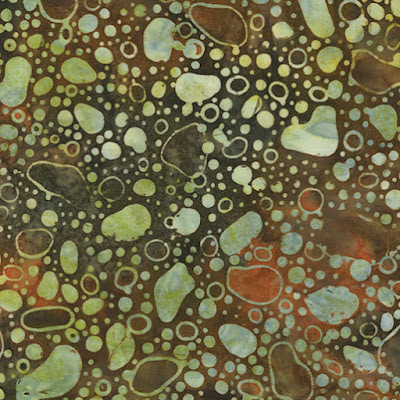 With fall right around the corner, these earth-tone Balis from the Desert Valley collection are oh-so-appealing! Spicy cinnamon, bold golds, rich bronzes, and deep chocolates...all so warm and welcoming! 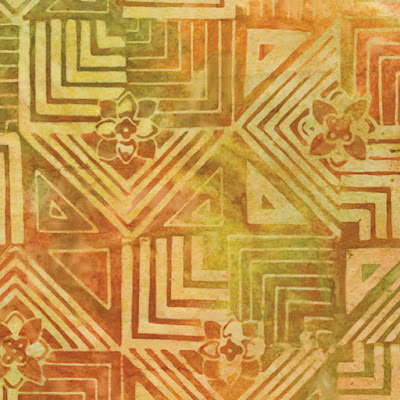 Put these prints together in our free quilt pattern, Hidden Temple. 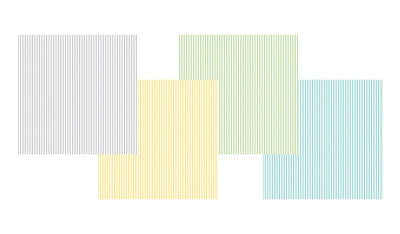 A simple framed square design lets the variety of earth-tone hues to sparkle. 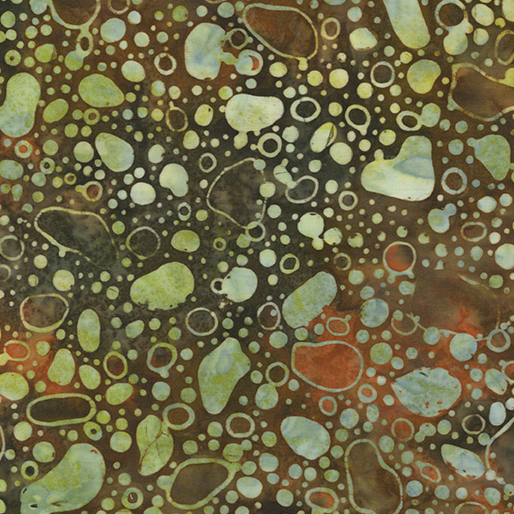 Click here to see the Desert Valley collection. It's the last day of our My Little Sunshine blog hop! We hope you've enjoyed seeing what different designers created with Cherry's adorable fabric line. Today, Annie @ Annie Smith is sharing her Charming Patchwork Skirt--so adorable for a little girl! Head over to her blog to learn more, and leave a comment below on our blog letting us know if you've ever made a skirt before for a chance to win My Little Sunshine fabric and a copy of Annie's Charming Patchwork Skirt pattern. 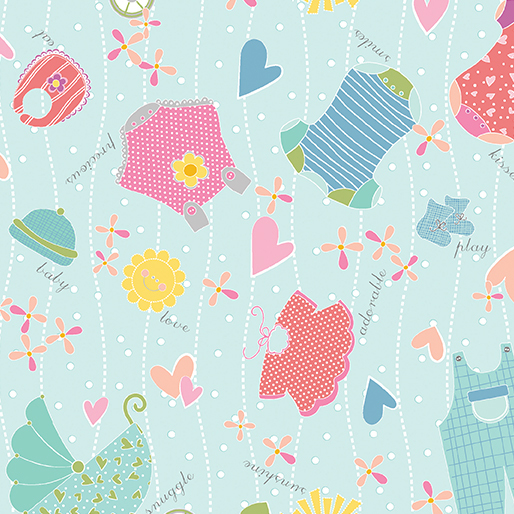 "I love Cherry’s artistic style and whimsical detail for this baby collection. Her animals make me smile and want to be young again. I enjoyed making this little skirt for my granddaughter Brooklyn and know that she’ll love twirling in it!" 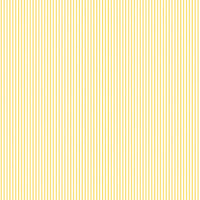 My Little Sunshine Blog Hop: Day 4 Free Pattern Friday! Today we're celebrating Free Pattern Friday as part of our blog hop, and due to a schedule change, we'll have two more blog hop posts next Monday and Tuesday. 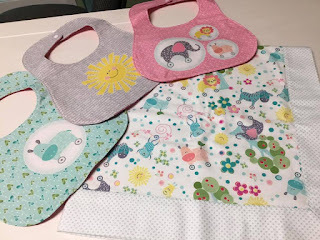 This collection contains two free pattern options--both the free quilt pattern, and the make-your-own-bib panel (with three sweet designs).Yesterday, Erin @ Avery Lane Designs showed us an adorable flutter bib design. 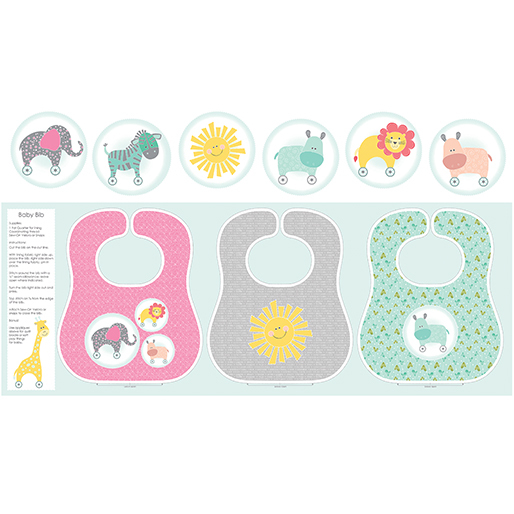 You could add her ruffles to any of these adorable bibs! We'd like to thank Carol Miller Mendoza for sharing a photo of her finished bibs with us on Facebook...aren't they adorable!?! 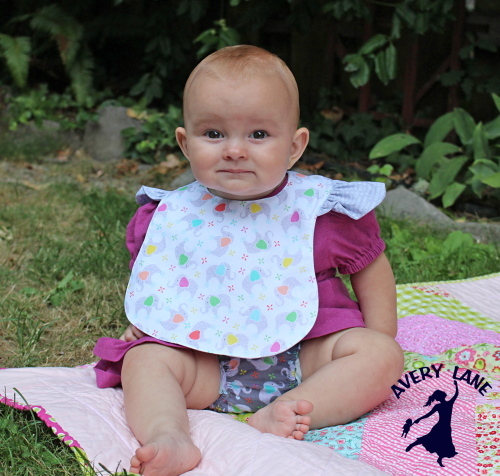 Consider adding a layer of thin batting, flannel, or even sewable laminate between the front and back bib pieces. After sewing the bib front and back together, clip along the curved edges to help with turning. After the bib has been turned right side out, topstitch along the edge for a nice finished look. 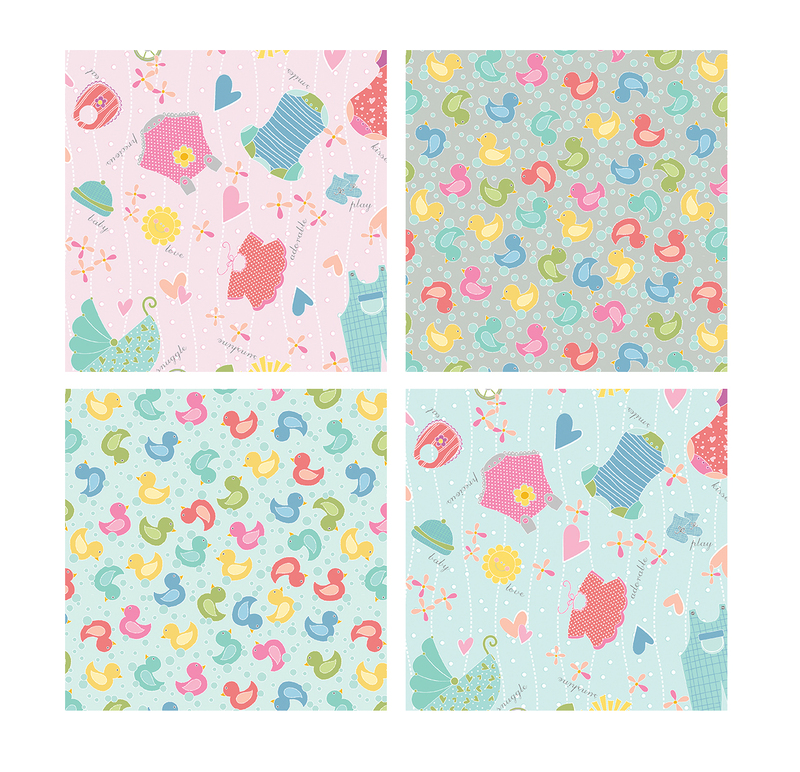 If our blog hop has inspired you to use the My Little Sunshine fabrics, consider "Duckies!," Cherry's free quilt pattern (available as a free download on her website). 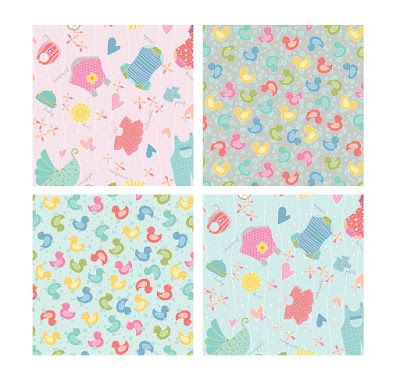 This sweet baby quilt uses 2-1/2" precut strips to make the center braid, and then adds sweet little applique duckies to the top and bottom. It's a perfect project for a new little baby! For a chance to win the bib panel plus 2 yards of coordinating fabric, leave a comment below letting us know your favorite print in Cherry's collection. Giveaway is open through Tuesday, August 29th at 11:59 pm EDT. 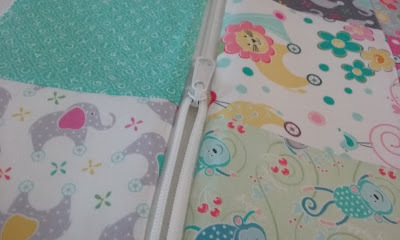 Day 3 of the blog hop includes an adorable smiley baby wearing adorable baby elephants. What a great combination! Erin @Avery Lane Designs used the elephant prints to make a gift set for a baby girl. 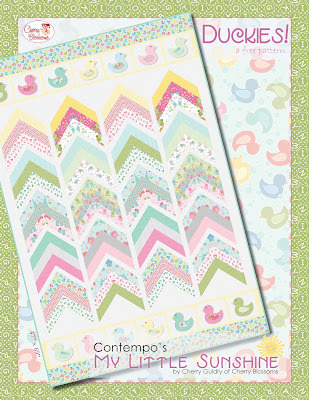 Head over to her blog to learn more and find out how you can win a fat quarter bundle of My Little Sunshine fabrics! 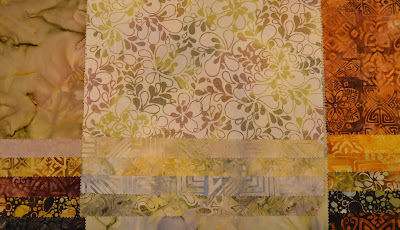 I love how soft these fabrics are-they were a dream to sew with. I adore the bright colors and how the prints would easily match a number of colors - I chose to pair it with a raspberry pink chambray dress. 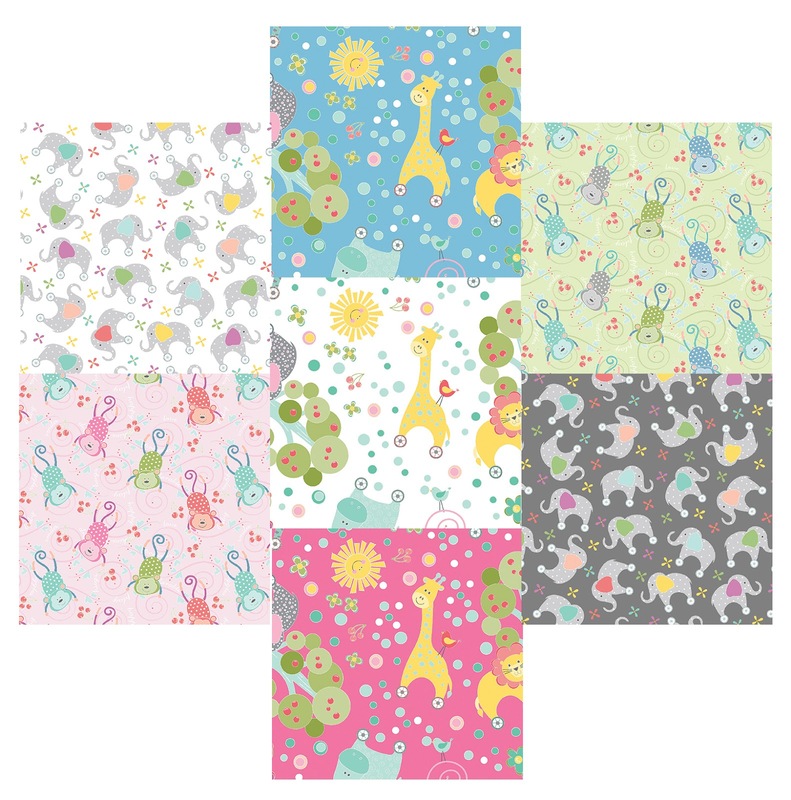 The prints are so great and would work for boys and girls to create a wonderful gender neutral nursery or fun preschooler's wardrobe. I made a DIY Baby Shower Gift Set for baby girls, which includes a baby dress, ruffle bum diaper cover, and flutter sleeve bib. I created the bib as a free pattern for the blog hop. Also included in my stop on the blog hop is a tutorial for how to make the ruffle bum cover using any diaper cover pattern. Day 2 of the hop is all about monkeys! Carol @ Just Let Me Quilt has created this adorable quilt for her favorite monkeys (aka the grandsons). Head over to her blog to learn more and enter to win a fat quarter bundle of My Little Sunshine prints. 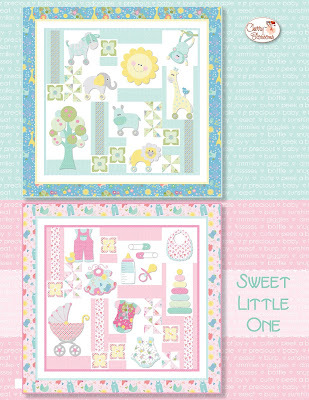 I was so excited to be sewing with Cherry Blossom's new fabric line My Little Sunshine. With five-going-on-six grandsons we call the Monkey Boys, Cherry's monkeys just stole my heart away. Their faces are so cute! When designing my quilt I pictured all those little monkeys surrounding the new baby and being excited to teach him all the tricks they know...which are quite a few! Starting off the hop is Mary @ Needled Mom. She's sharing an easy and useful sewing project that both the new mom and baby will enjoy. The hardest part? 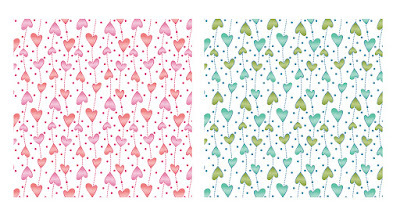 Choosing which adorable print to use! Head over to her blog and make sure you enter for a chance to win a bundle of prints from Cherry's My Little Sunshine collection! Giraffes and monkeys and ducks....oh my! What could be sweeter than fun prints to welcome a new baby to the family? 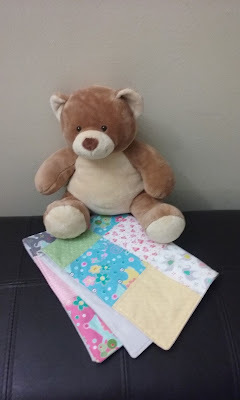 Come on over to my blog and learn how to make quick and easy burp cloths for a new mom to enjoy. 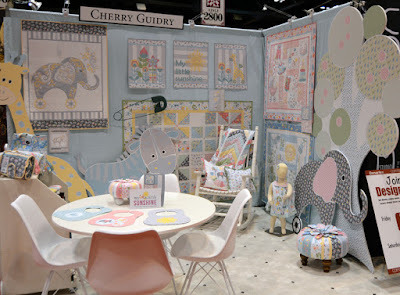 Back in May, we showed you Cherry Guidry's booth featuring her upcoming fabric line, My Little Sunshine (click here to see the original post). Great news--the fabrics are now available! 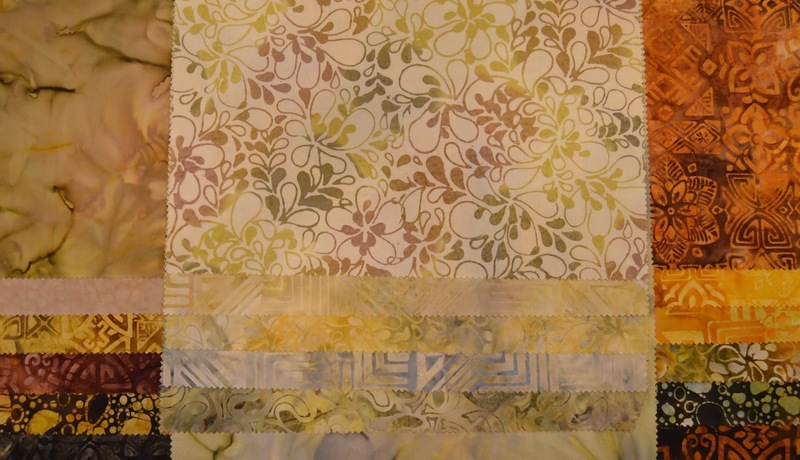 We asked Cherry to walk us through the fabrics and the quilt she has designed with them. 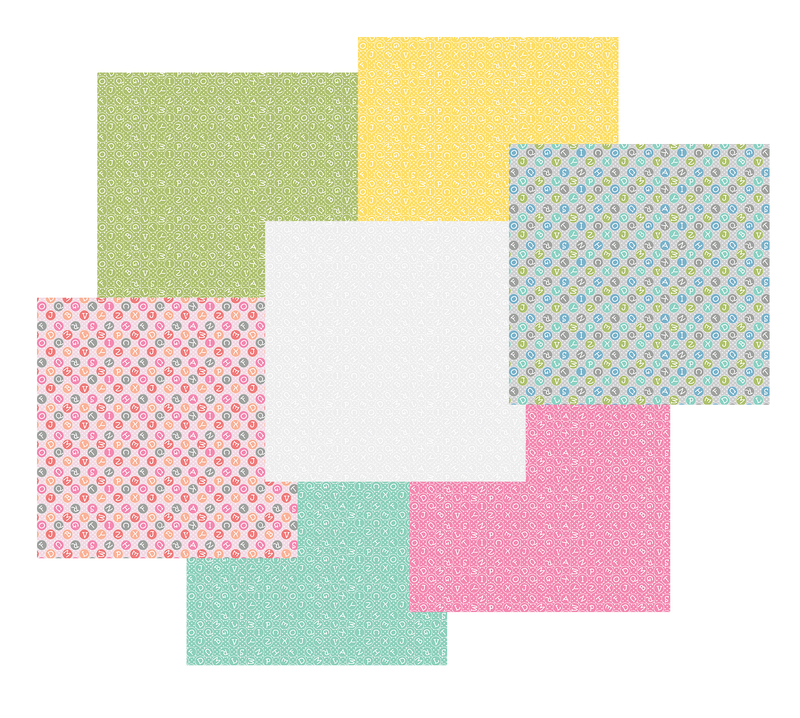 If you're planning to make a baby quilt soon, you'll know what fabric to use! 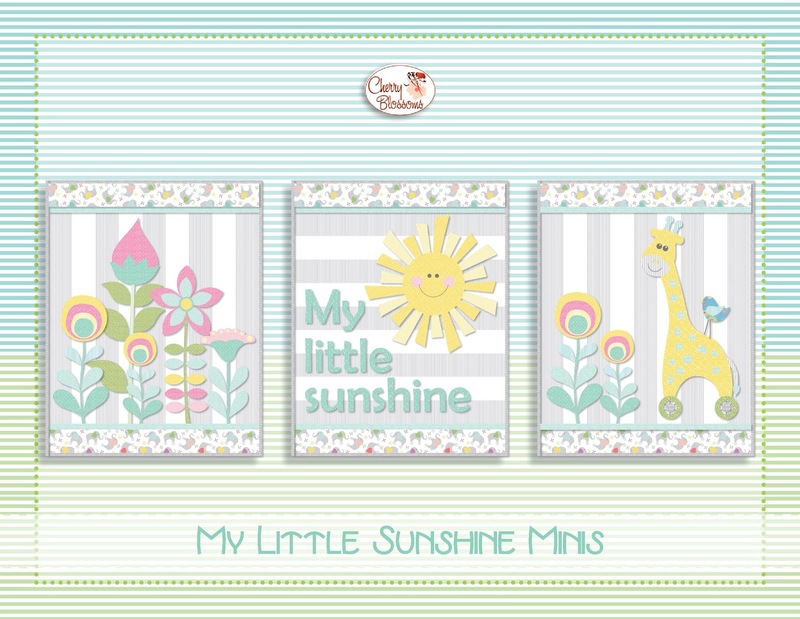 How did you come up with the idea for the My Little Sunshine collection? 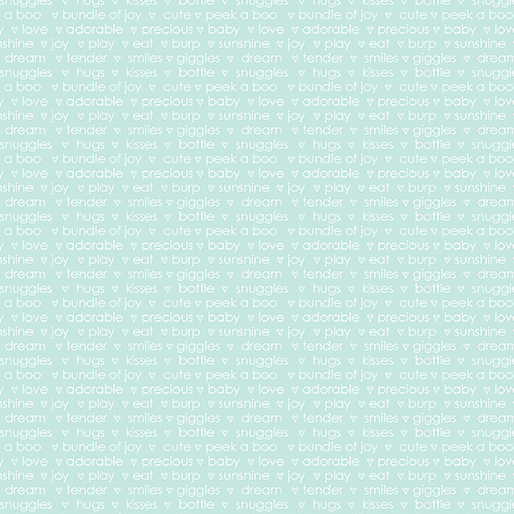 I loved the idea of having a cute little baby line. The first thing that popped into my head was the “You Are My Sunshine” song. I used to sing it to the kids when they were little. What was the first print you created? 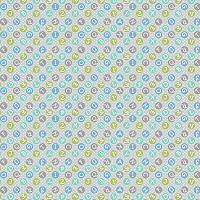 I had designed a little baby carriage pattern a few years back based on my brother’s baby carriage. I pulled out the pattern and included that idea in the first print I drew, along with little baby clothes and suns. How did the animals get added to the mix? I was talking to some friends, and sock monkeys came up. I’d started a monkey quilt idea a while back, and thought it would be cute to have monkeys in the collection. Then I started drawing more animals. That’s where the Animal Forest print came in. I wanted the animals to have a retro feel, so I added the wheels. Let’s talk about the coordinates. I love fabric with words. The words came from the first print with the carriages. 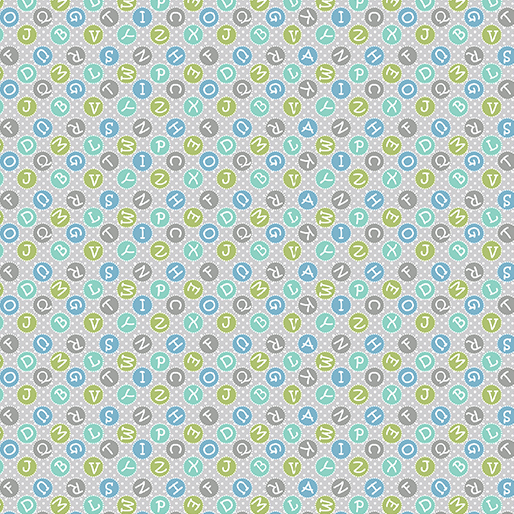 You’ll see an alphabet print as well—there are five that read like solid, and two that are multicolor. I wanted a simple little stripe, so I chose a pinstripe, and there’s a heart print that looks like a string of hearts as well. 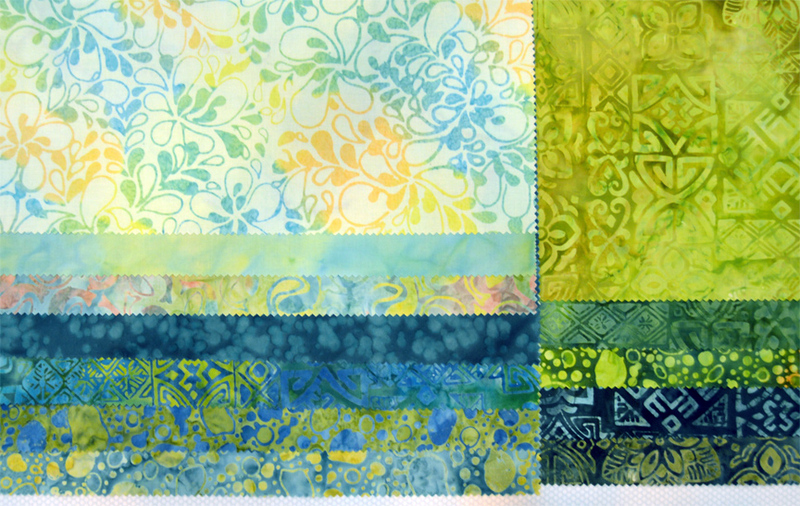 The palette has a mix of soft and somewhat stronger colors, which creates nice contrast for making a quilt. I love the range of colors because I am an appliquer. 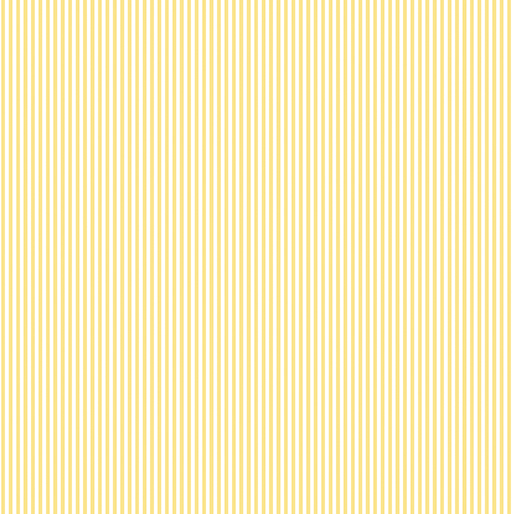 There are the traditional pinks and blues, but because I wanted it to appeal to both the older generation—the grandmas—and the younger moms, I added in grays and yellows for a more modern look. What else do you like about these fabrics? Even though it’s a baby collection, if you take the monkeys and the elephants, for example, you can really carry it through to older children. It’s not only for babies. It’s a bib panel—a very simple project—great for a young mom who wants to sew without committing to a quilt. There are applique options on the panel as well—animals in bubbles that would make cute little projects if you added them to a burp cloth or bag or onesie. The possibilities for the panel are huge, even without a lot of sewing. 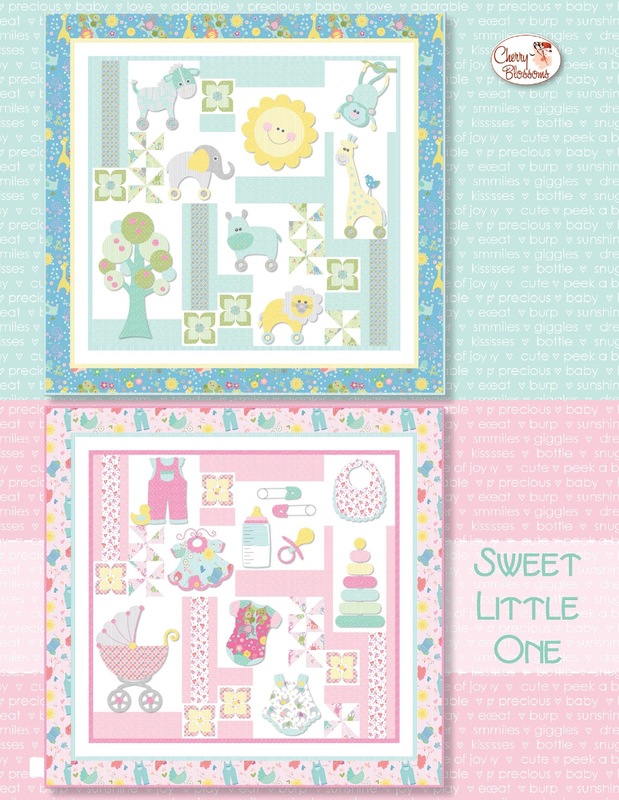 Tell us about the quilts you designed using My Little Sunshine. "Duckies" is a free quilt pattern available on my website. It uses a jelly roll and goes together quickly. As an appliquer, I had to add some applique as well, so I enlarged the duckies from the border print to use at the top. 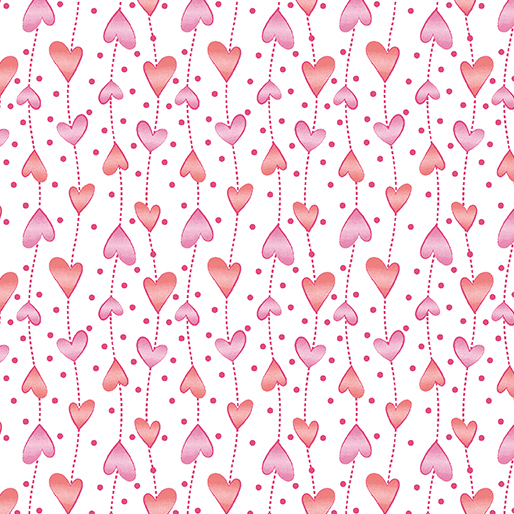 I also have three commercial patterns available for sale on my website. First are the "My Little Sunshine" minis. It’s a little triptych and they each measure 18” x 23”. I’m picturing a nursery with these hanging over the crib. They’re cute little appliques, and super simple. 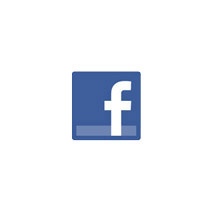 The SVG files are available as well. My second pattern is called "Sweet Little One." There are boy and girl options. 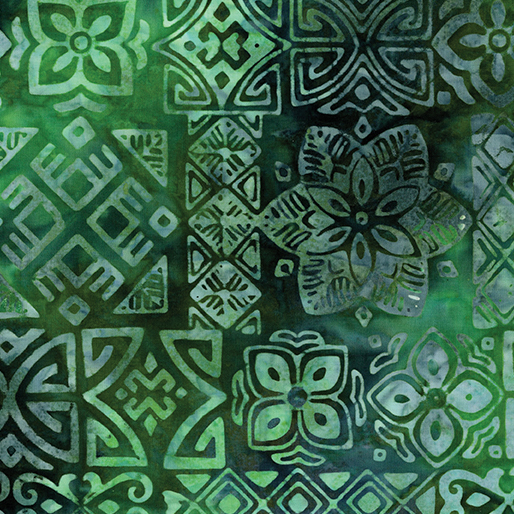 The appliques are interchangeable between the two patterns, so you can mix and match using the motifs you like. This will also be available for hoop embroidery as well. 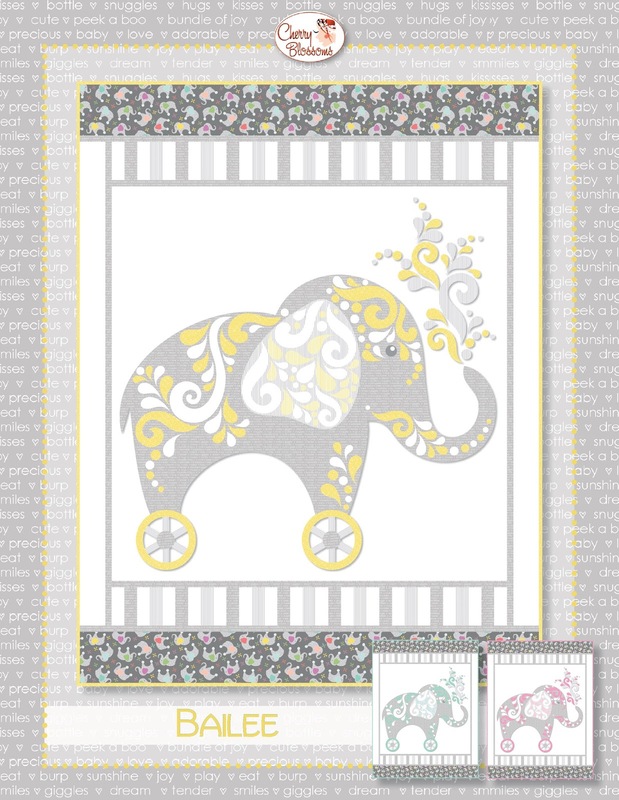 My third and favorite is "Bailee," the elephant. It’s a nice sized wall hanging. 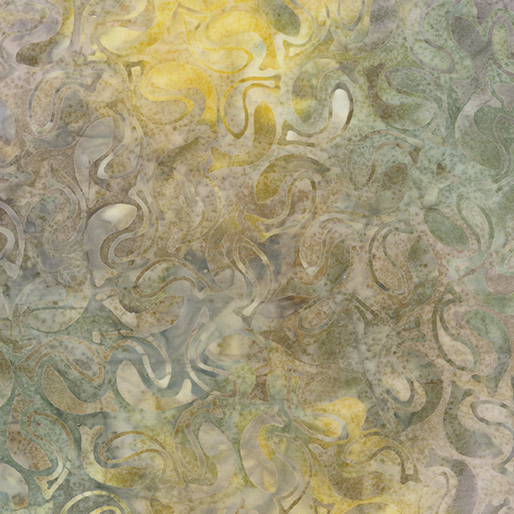 I always love to do little swirly stylized designs, and they show up here. 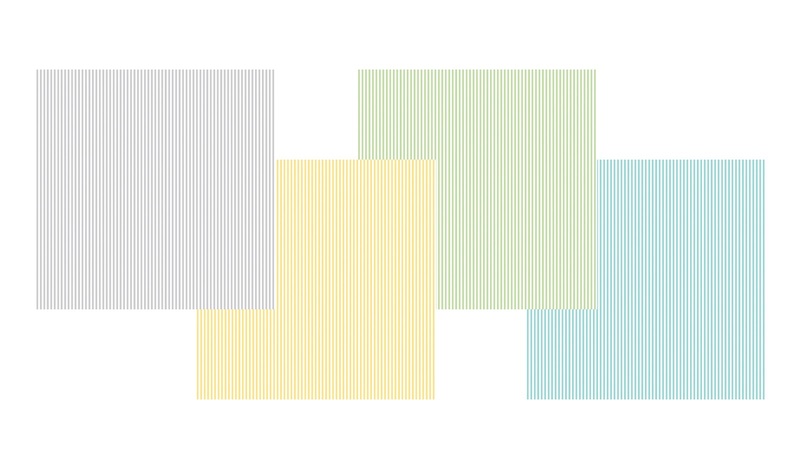 You can see Bailee in three colorways—pink, aqua, and yellow. 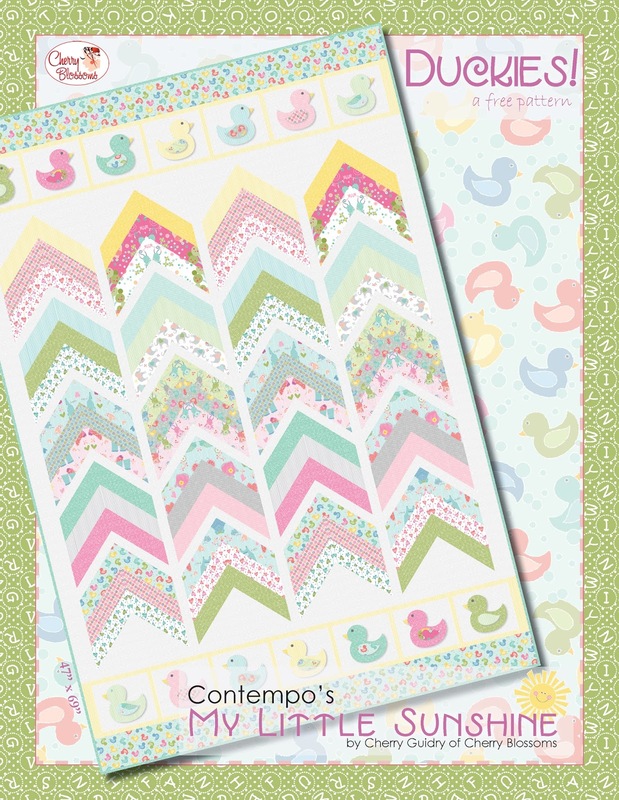 Giveaway: Cherry is giving away a print copy of each of her three commercial patterns. 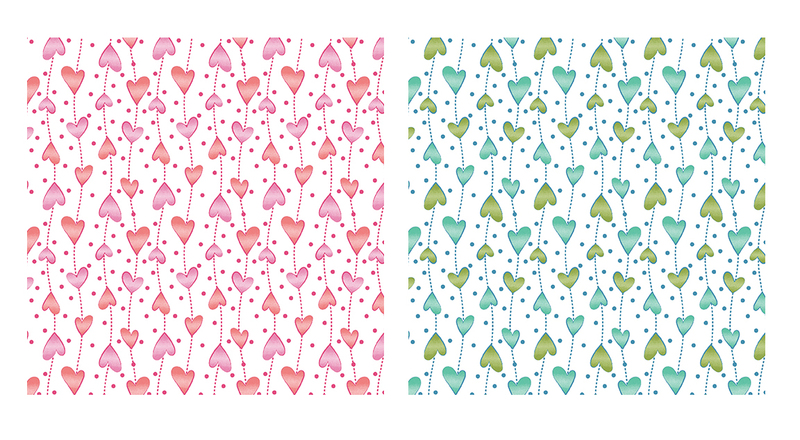 For a chance to win one of the patterns, leave a comment below letting us know which of the three is your favorite. Make sure we have a way to contact you if your name is chosen! Giveaway ends Saturday, August 26th at 11:59 pm EDT. Blog Hop: We have more "My Little Sunshine" fun all week long! 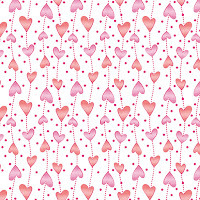 Starting Tuesday, we'll be hosting a blog hop; five different designers will show what they've made with Cherry's adorable fabrics (and there will be giveaways!). Don't miss it! 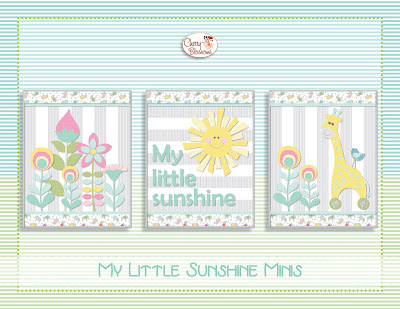 Click here to see the entire My Little Sunshine fabric collection. 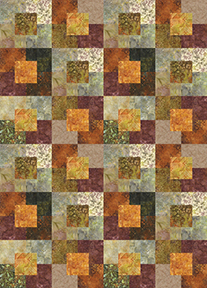 Click here to visit Cherry's website, find the free quilt pattern, and see her commercial patterns.